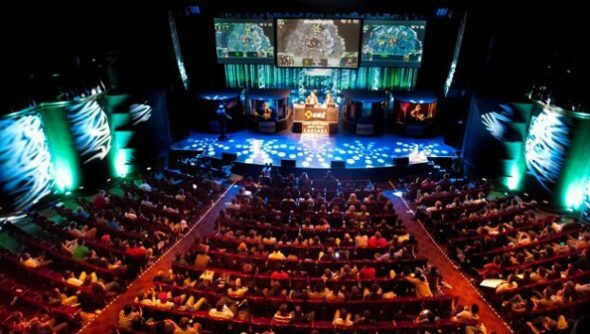 The Global StarCraft League (GSL) is consistently the home of the world’s best StarCraft players. This might change with time, as Pro League continues to evolve from its Brood War-exclusive era, and the growing cooperation among Western leagues bodes well for improving the quality and consistency of their StarCraft tournaments. But for now, the GSL Code S and Code A pools read like a Who’s Who of professional StarCraft. Winning a GSL championship is like winning Formula 1 championship: there are other series, but all the world’s best compete in this one. GSL has a partnership with IGN’s Pro League and, earlier this year, hosted its Team League championship at IPL4. This weekend, GSL is bringing the Code S championship to the United States, hosting its semifinals and final at IP5 in Las Vegas this weekend. HyuN, Ryung, Sniper, and Bogus will each be trying to fight his way to StarCraft’s most prestigious title and almost $43,000 champion’s purse. In some ways it’s an unlikely lineup. Ko “HyuN” Seok Hyun took out Creator 3-1 only a few days after Creator finished second to PartinG in the Battle.net World Championship and got a $40,000 second-place prize. HyuN does not yet boast any similar achievements in StarCraft 2, although he’s steadily amassed victories in smaller tournaments. With his arrival in the GSL Code S semifinal, he’s poised to emerge as a major power in the sport. But first he has to beat Lee “Bogus” Shin Hyung, a former Proleague Brood War player who comes to StarCraft 2 with an even cleaner slate, his biggest achievements so far being the Code A victories that sent him to Code S. Their match will take place on Dec. 1st / Nov. 30 at 2 AM GMT / 9 PM Eastern. The other semifinal might be the one that determines who the next GSL champion is going to be. Kim “Ryung” Dong Won, who found himself near the epicenter of the astonishing drama surrounding the collapse of the SlayerS team. He’s moved onto Axiom, the team managed by Genna Bain and sponsored her husband, eSports commentator and videogame personality John ”TotalBiscuit” Bain. Since then he’s played superbly, going 2-1 in a tough Code S group before handing MarineKing a convincing 3-1 defeat in the quarterfinals. He faces Kwon “Sniper” Tae Hoon, a fairly inexperienced Zerg who has never made it this far before in the Code S. Their match will be right after the other semifinal, at 2 AM GMT / 11 PMEastern. The winners will face off the next night at 2 AM GMT / 9 PMEastern in the Final, right after the first round of the GSL World Championship.